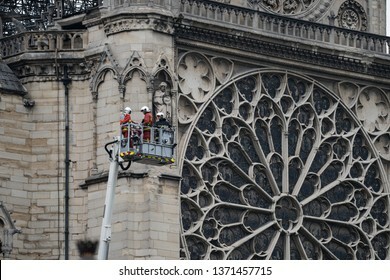 3,363 stock photos, vectors, and illustrations are available royalty-free. 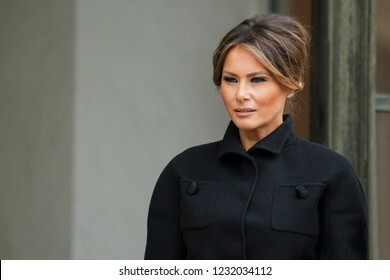 PARIS, FRANCE - NOVEMBER 10, 2018 : The wife of the President of United State of America Melania Trump at the Elysee Palace in France. 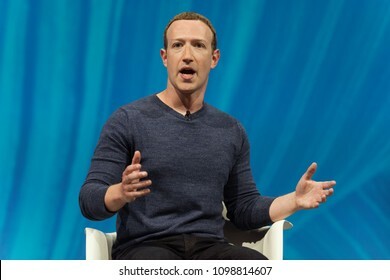 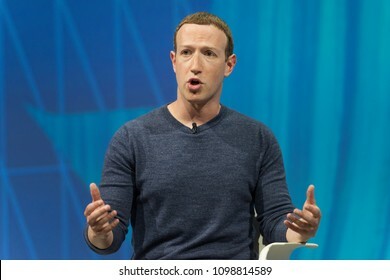 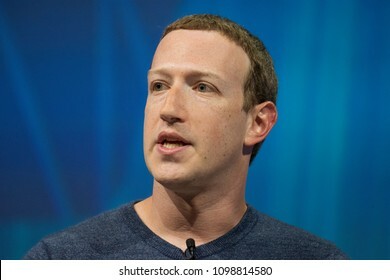 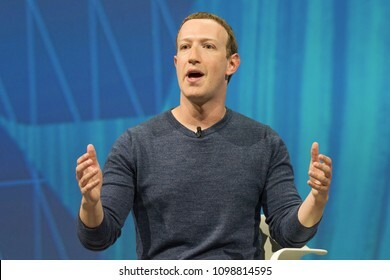 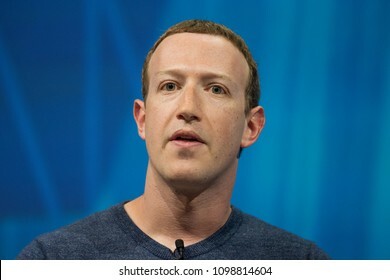 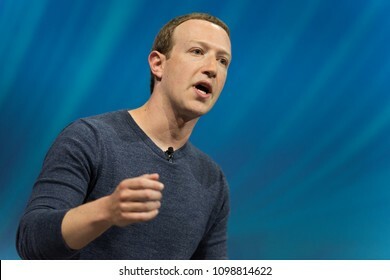 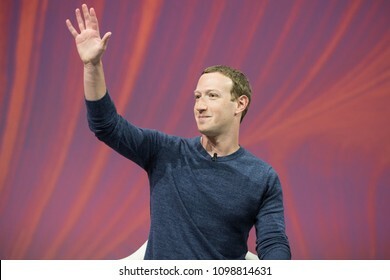 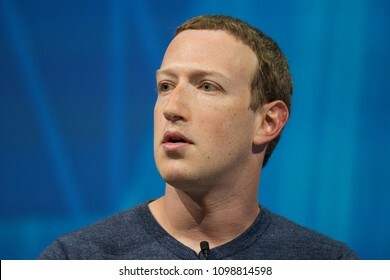 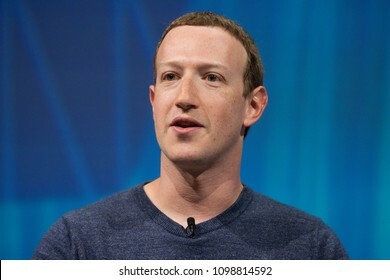 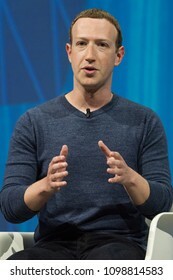 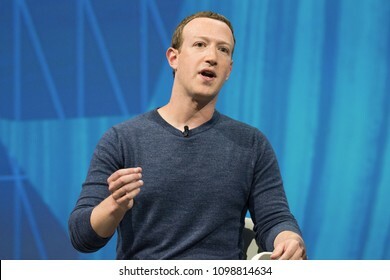 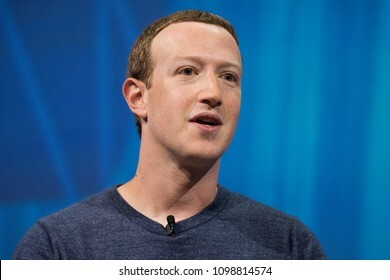 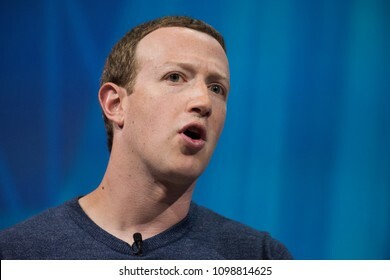 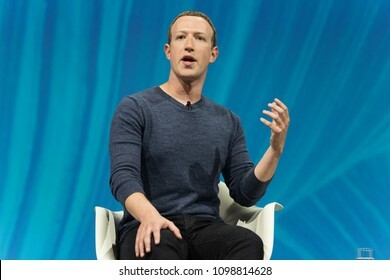 PARIS, FRANCE - MAY 24, 2018 : Facebook CEO Mark Zuckerberg in Press conference at VIVA Technology (Vivatech) the world's rendezvous for startup and leaders. 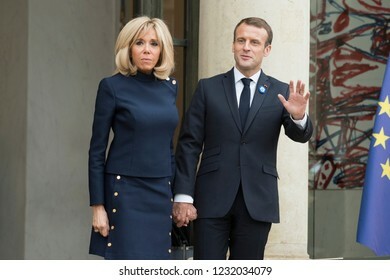 PARIS, FRANCE - NOVEMBER 10 2018 : The President of France Emmanuel Macron and his wife Brigitte Macron at the Orsay museum to commemorate the end of the first world war. 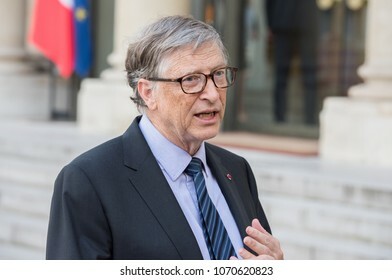 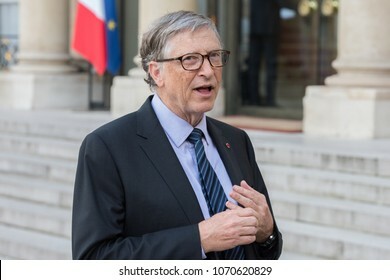 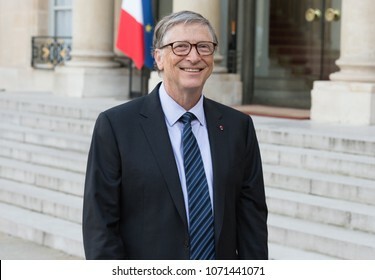 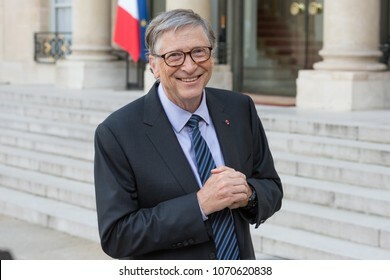 PARIS, FRANCE - APRIL 16, 2018 : Bill Gates at the Elysee Palace to encounter the french president to speak about Bill & Melinda Gates Foundation (BMGF). 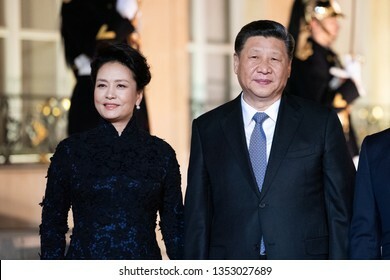 PARIS, FRANCE - MARCH 25, 2018 : Chinese President Xi Jinping and his wife Peng Liyuan for diner and state visit in France at the Elysee Palace with french president. 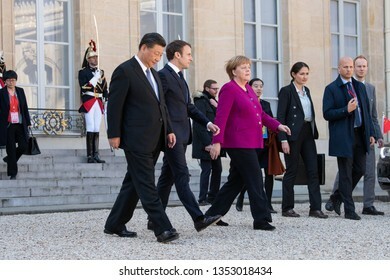 PARIS, FRANCE - MARCH 25, 2018 : Emmanuel Macron, Angela Merkel and Xi Jinping walking in the courtyard of Elysee Palace during the state visite of the chinese President in France. 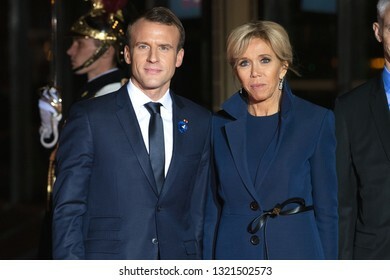 PARIS, FRANCE - NOVEMBER 10, 2018 : The french President Emmanuel Macron with his wife Brigitte Macron during the visit of the President of United States of America Donald Trump at the Elysee Palace. 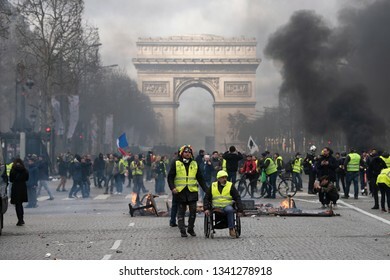 Paris, FRANCE - March, 16 2019 : Protesters yellow vests "Gilets Jaunes" a Paris on Champs Elysees during a demonstration to protest against policy of french government. 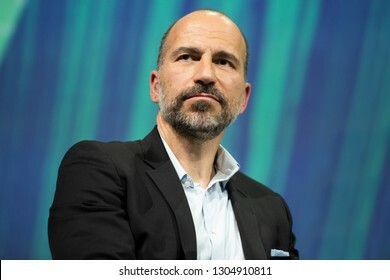 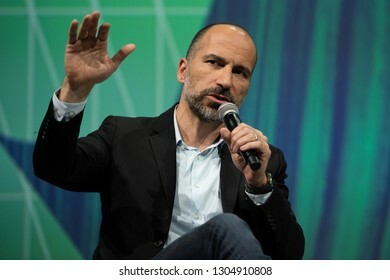 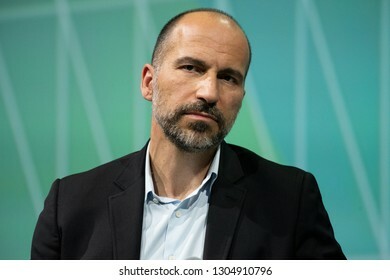 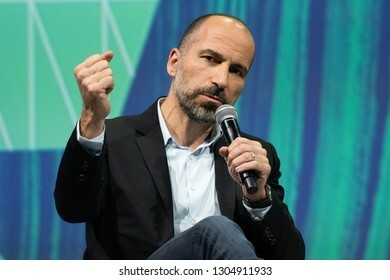 PARIS, FRANCE - MAY 24, 2018 : Uber CEO MDara Khosrowshahi in Press conference at VIVA Technology (Vivatech) the world's rendezvous for startup and leaders. 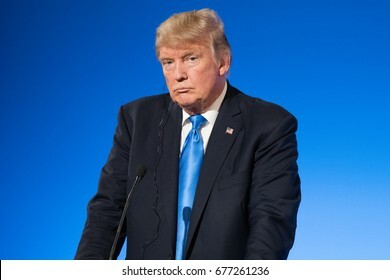 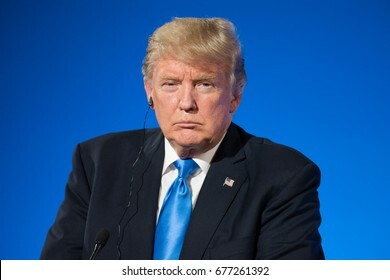 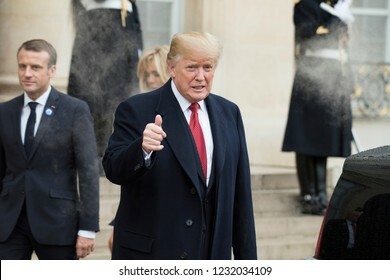 PARIS, FRANCE - NOVEMBER 10, 2018 : The President of United States of America Donald Trump at the Elysee Palace for an extended interview. 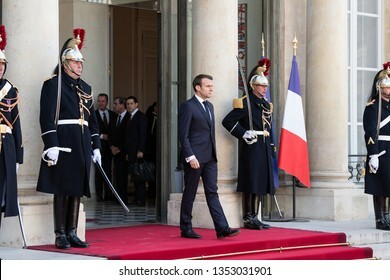 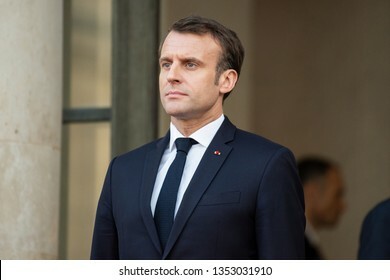 PARIS, FRANCE - MARCH 25, 2018 : The french president Emmanuel Macron at Elysee Palace during the state visit of the chinese president. 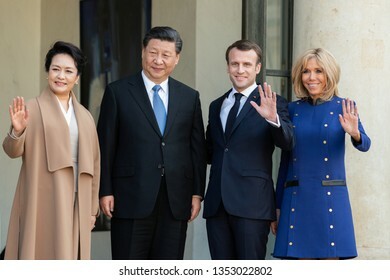 PARIS, FRANCE - MARCH 25, 2018 : Emmanuel Macron and his wife Brigitte Macron welcoming chinese President Xi Jinping and his wife Peng Liyuan for thier state visit in France at the Elysee Palace. 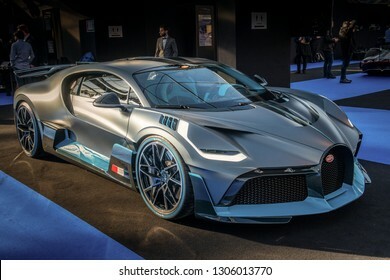 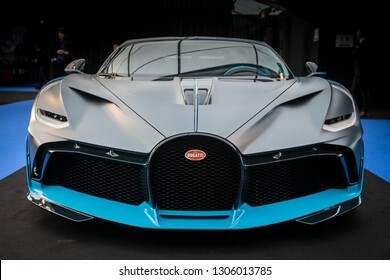 PARIS, FRANCE - January 30, 2019 : The mid-engine track focused sports Bugatti Divo at the Festival Automobile Internationnal. 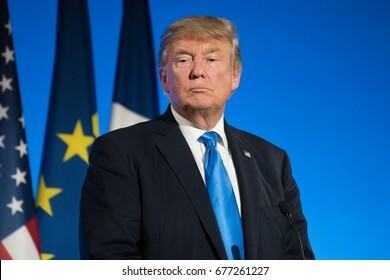 PARIS, FRANCE - JULY 13, 2017 : The President of United States of America Donald Trump at the Elysee Palace for an extended interview with the french President. 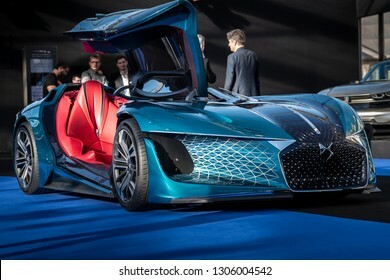 PARIS, FRANCE - October 9, 2018: The asymetric electric concept car DS X E-Tense at the Festival Automobile Internationnal. 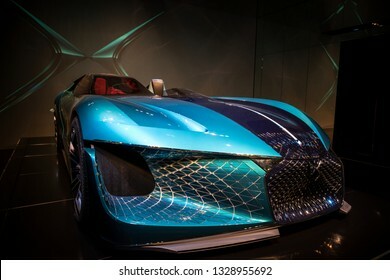 It's a three-seat concept founded on an association of two vehicules in one. 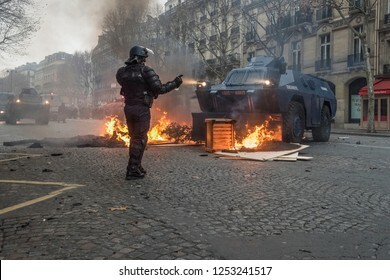 Paris, FRANCE - Decembrer 8 2018 : Anti riot policeman with a VBRG an armoured vehicle used by the gendarmerie as an Internal security vehicle during the riots of the yellow vests "gilets jaunes". 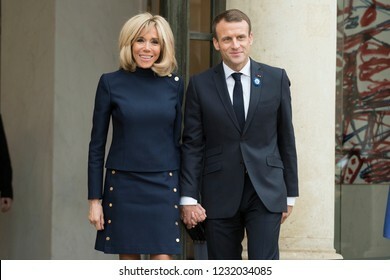 PARIS, FRANCE - NOVEMBER 10, 2018 : Brigitte Macron attends Melania Trump during the visit of the President of United States of America Donald Trump at the Elysee Palace. 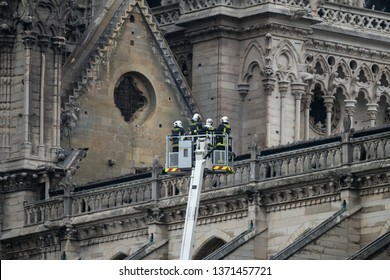 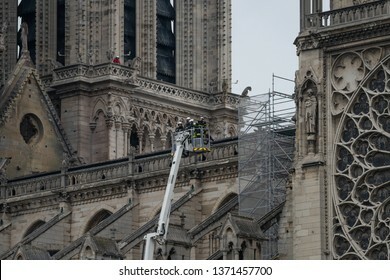 PARIS, FRANCE - April, 16 2019 : Firefighters inspect the structure of the building, the cathedral Notre Dame, after the fire during the fire that started in the attic during works on the roof. 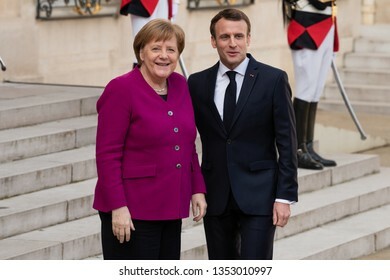 PARIS, FRANCE - NOVEMBER 10 2018 : The Chancellor of Germany Angela Merkel arrive to attend a dinner hosted by French President at the Orsay museum to commemorate the end of the first world war. 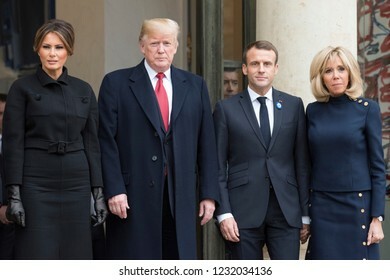 PARIS, FRANCE - NOVEMBER 10, 2018 : Emmanuel Macron and Brigitte Macron with the President of USA Donald Trump and his wife Melania Trump at the Elysee Palace for an extended interview. 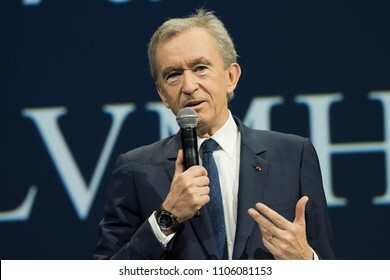 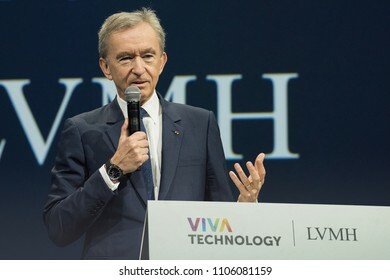 PARIS, FRANCE - JUNE 5, 2018 : The CEO of LVMH Bernard Arnaud at the salon VivaTech during the LVMH innovation awards. 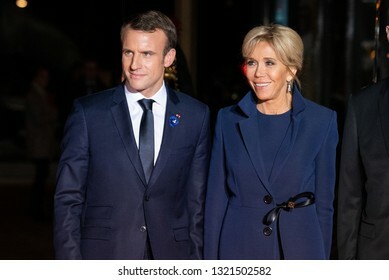 PARIS, FRANCE - MARCH 25, 2018 : Brigitte Macron, the wife of the french Prsident at the Elysee Palace during for diner and state visit of the chinese President in France. 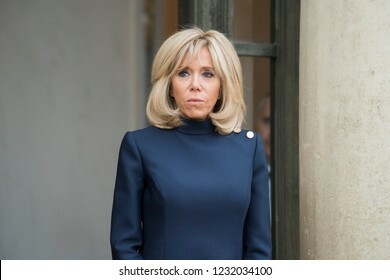 PARIS, FRANCE - MARCH 25, 2018 : Brigitte Macron, the wife of the french Prsident at the Elysee Palace during state visit of the chinese President in France. 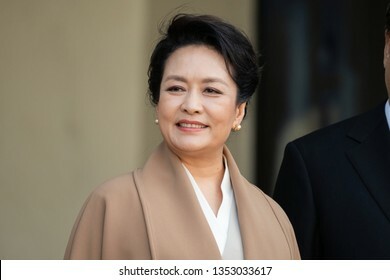 PARIS, FRANCE - MARCH 25, 2018 : Wife of the Chinese President Peng Liyuan at Elysee Palace during state visit in France of his husband. 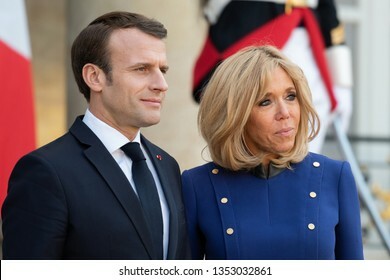 PARIS, FRANCE - MARCH 25, 2018 : The french president Emmanuel Macron with his wife Brigitte Macron at Elysee Palace during the state visit of the chinese president. 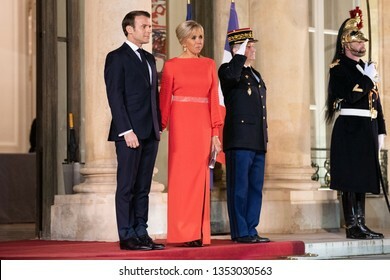 PARIS, FRANCE - MARCH 25, 2018 : Emmanuel Macron and his wife Brigitte Macron welcoming chinese President and his wife for diner and state visit in France at the Elysee Palace. 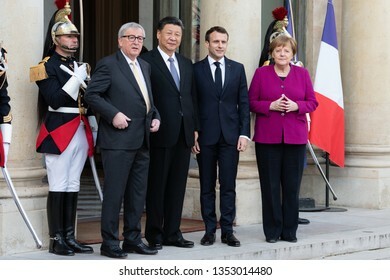 PARIS, FRANCE - MARCH 25, 2018 : Emmanuel Macron, Angela Merkel and Jean-Claude Juncker welcoming chinese President Xi Jinping for his state visit in France at the Elysee Palace. 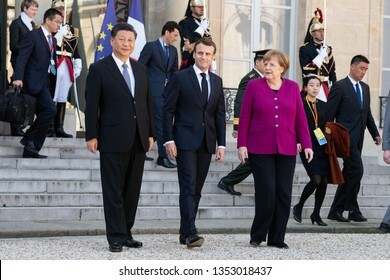 PARIS, FRANCE - MARCH 25, 2018 : The french president Emmanuel Macron welcoming chancellor Angela Merkel for the state visit of chinese President Xi Jinping in France at the Elysee Palace. 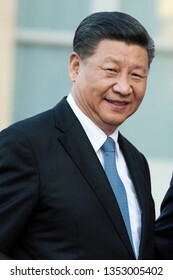 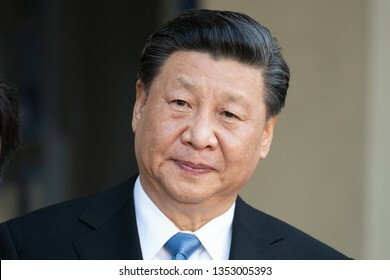 PARIS, FRANCE - MARCH 25, 2018 : The chinese President Xi Jinping during his state visit in France at the Elysee Palace. 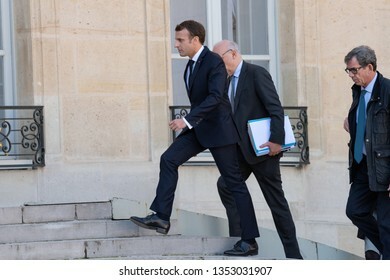 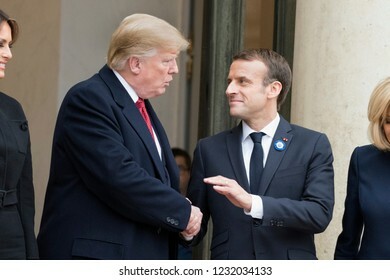 PARIS, FRANCE - NOVEMBER 10, 2018 : The french President Emmanuel Macron with the President of United States of America Donald Trump at the Elysee Palace for an extended interview. 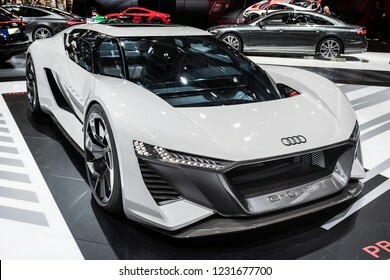 PARIS, FRANCE - October 9, 2018 : The Audi PB18 e-tron, a 2-door hatchback electric supercar concept developed by a division of the German automaker Audi AG, Audi Sport at the Paris Motor Show 2018. 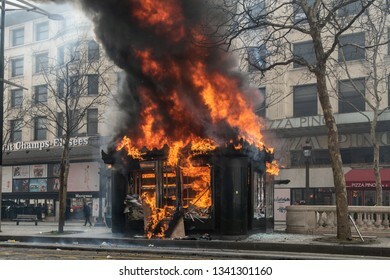 Paris, FRANCE - March, 16 2019 : A newspaper kiosk bruning during a demonstration of protesters yellow vests "Gilets Jaunes" at Paris on Champs Elysees. 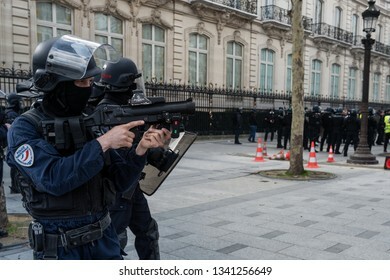 Paris, FRANCE - March, 16 2019 : Policemens from anti riot unit in front of newspaper kiosk bruning during a demonstration of protesters yellow vests "Gilets Jaunes" at Paris on Champs Elysees. 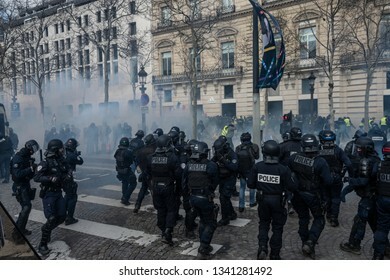 Paris, FRANCE - March, 16 2019 : Protesters yellow vests "Gilets Jaunes" attack police from anti riot unit during a demonstration at Paris on Champs Elysees. 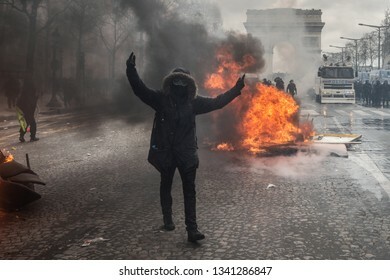 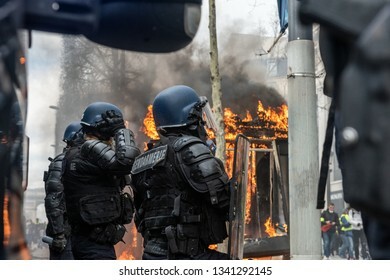 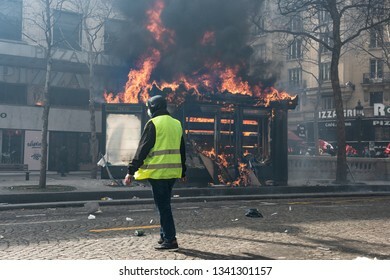 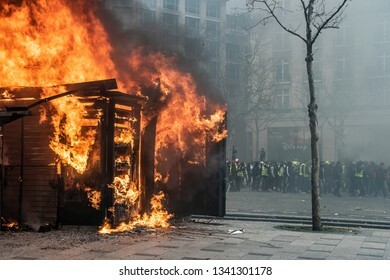 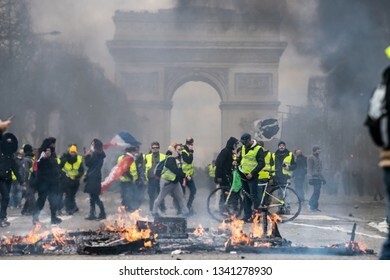 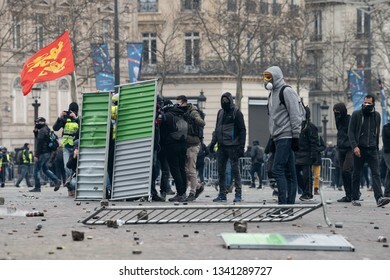 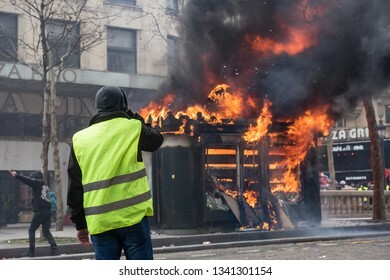 Paris, FRANCE - March, 16 2019 : Protesters burning urban furnitures and provoke police forces during a demonstration of yellow vests "Gilets Jaunes" at Paris on Champs Elysees. 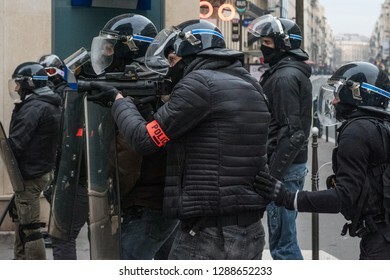 Paris, FRANCE - March, 16 2019 : Policemens from anti riot unit try to control protesters yellow vests "Gilets Jaunes" at Paris on Champs Elysees. 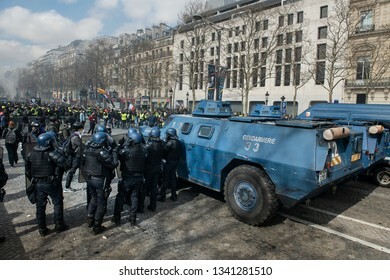 Paris, FRANCE - March, 16 2019 : Anti riot policeman with a VBRG an armoured vehicle used by the gendarmerie as an Internal security vehicle during the riots of the yellow vests "gilets jaunes". 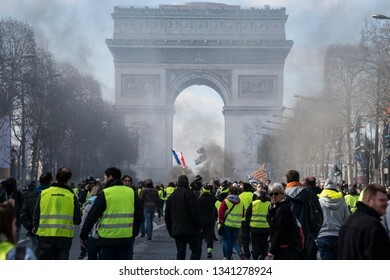 Paris, FRANCE - March, 16 2019 : Protesters yellow vests "Gilets Jaunes" at Paris on Champs Elysees during a demonstration to protest against policy of french government. 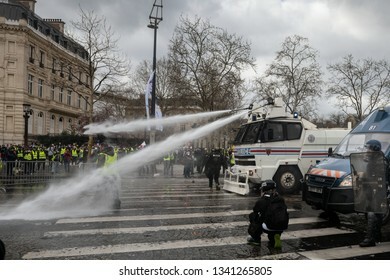 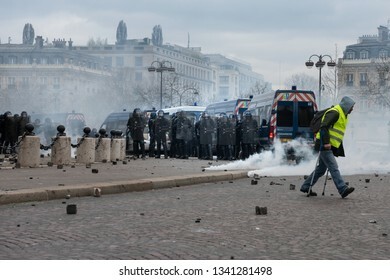 Paris, FRANCE - March, 16 2019 : Policemens from anti riot unit with a water canon truck try to control protesters yellow vests "Gilets Jaunes" at Paris on Champs Elysees. 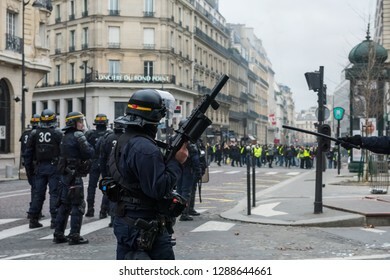 Paris, FRANCE - March, 16 2019 : Policeman from anti riot unit with a LBD flashball, control protesters yellow vests "Gilets Jaunes" at Paris on Champs Elysees. 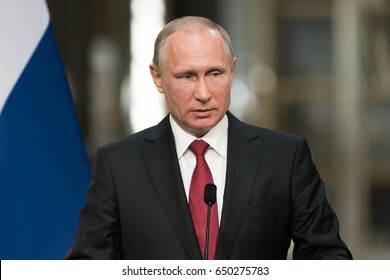 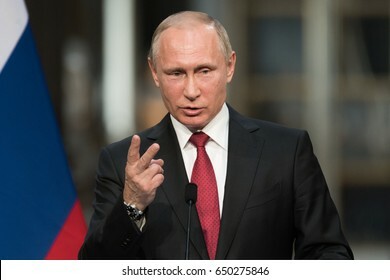 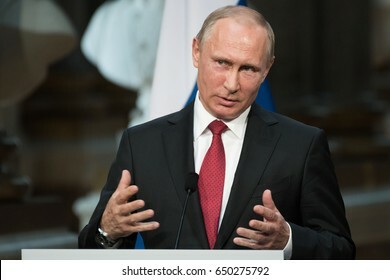 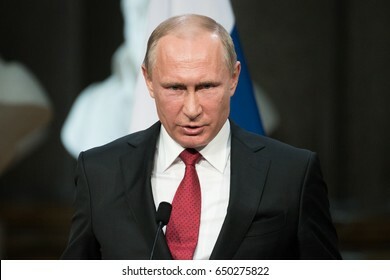 PARIS, FRANCE - MAY 29, 2017 : Vladimir Putin, the President of Russian Federation in press conference at the Palace of Versailles in the Battles gallery after a working visit with french President. 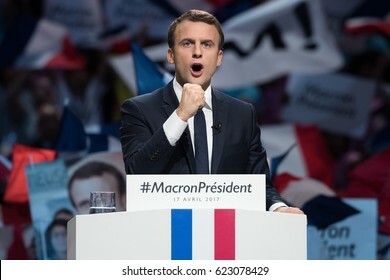 PARIS, FRANCE - APRIL 8, 2017 : Emmanuel Macron speaking about french ultramarine for the french presidential election of 2017 at the head office of his political party en marche. 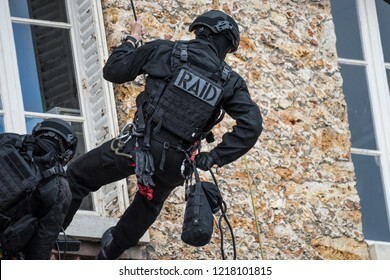 Paris, FRANCE - OCTOBER 10, 2018 : the anti-terrorist and elite tactical unit of the French National Police, the RAID (Research, Assistance, Intervention, Deterrence) during a live exercise. 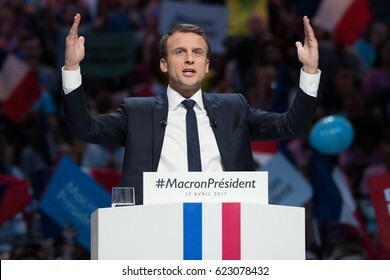 PARIS, FRANCE - APRIL 17, 2017 : Emmanuel Macron in meeting, the great gathering, at Paris Bercy, AccorHotels Arena, for the french presidential election of 2017 with his political party en marche. 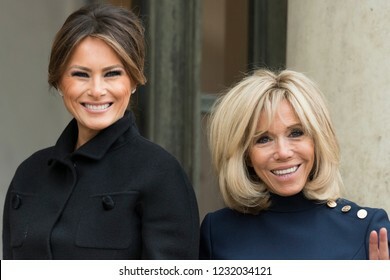 PARIS, FRANCE - NOVEMBER 10, 2018 : Brigitte Macron welcoming Melania Trump during the visit of the President of United States of America Donald Trump at the Elysee Palace. 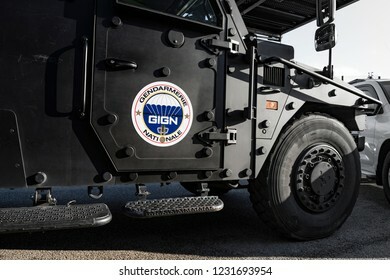 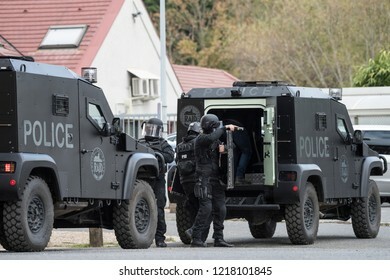 Paris, FRANCE - OCTOBER 10, 2018 : The Sherpa armoured truck during a demo of the GIGN (National Gendarmerie Intervention Group). 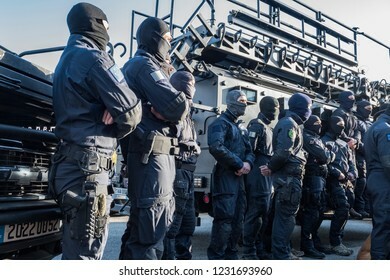 Paris, FRANCE - OCTOBER 10, 2018 : the anti-terrorist and elite tactical unit of the French Gendarmerie, the GIGN (National Gendarmerie Intervention Group) during a live exercise. 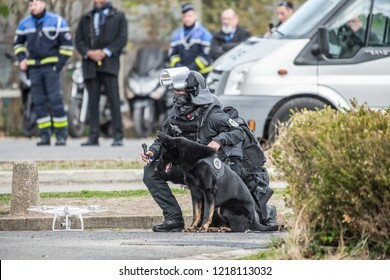 Bievre, FRANCE - OCTOBER 10, 2018 : A dog guided by laser from a drone piloted by the RAID, an elite tactical unit of the French National Police during a live exercise. 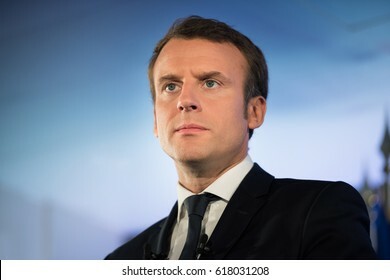 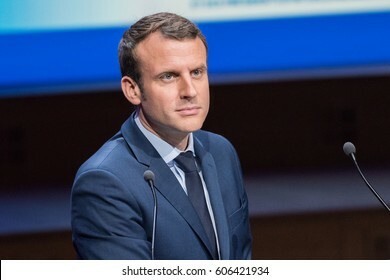 PARIS, FRANCE - MARCH 22, 2017 : Emmanuel Macron speaking during the Exceptional gathering of mayors of France in the context of the presidential elections. 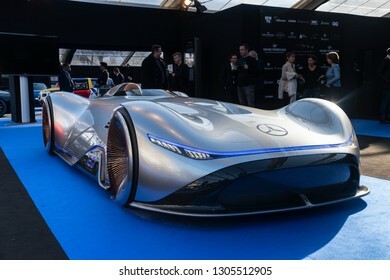 PARIS, FRANCE - January 30, 2019 : The electric concept car Mercedes vision EQ Silver Arrow at the Festival Automobile Internationnal. 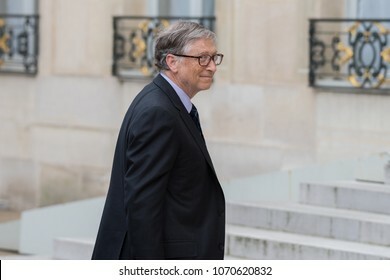 PARIS, FRANCE - NOVEMBER 10 2018 : Prince Albert of Monaco and his wife Charlene arrive to attend a dinner hosted by French President at the Orsay museum to commemorate the end of the first world war. 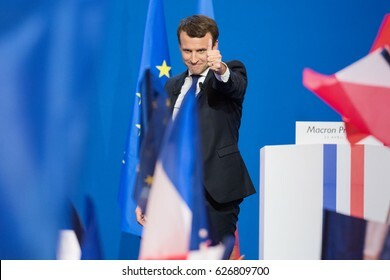 PARIS, FRANCE - APRIL 23, 2017 : Emmanuel Macron celebrate his first place in the first round of the french presidential election, at Paris Porte de Versailles with his political party en marche. 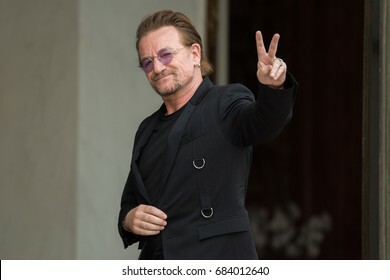 Paris, FRANCE - July 24, 2017 : The singer and leader of the band group U2 and Co-founder of the organization ONE at Elysee Palace to meet the french President to speak about his organization..